Although I wrote everything I know about squirrel issues for this website, oftentimes a problem with squirrels in the attic is beyond the scope of the do-it-yourself homeowner to solve. I have found a professional company in St. Paul, Minnesota that handles problems with wildlife. 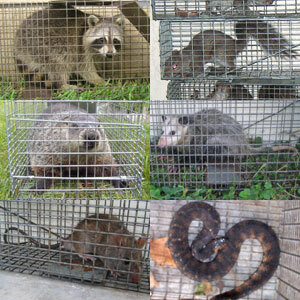 Beast Wildlife Company has access to tools, techniques, and experience that help them do a far better job at wildlife removal than a non-experienced homeowner could. They possess licensing that allows them to do certain types of work legally, that non-licensed homeowners in the state of Minnesota are not allowed to do. For the welfare of your situation, and the squirrels, in some cases it's best to hire a pro. There are good companies and bad companies out there. I've done research on such companies, to get to know them, and feel confident recommending their services. I therefore recommend a company called Beast Wildlife Company which services St. Paul, Minnesota. If you have a squirrel problem, or any other conflict with a wild animal, and live in St. Paul, I am confident that this company, Beast Wildlife Company, is the one to call. I asked the company to describe their service range, and they said this - Nuisance Wildlife Control services all of St Paul and surrounding suburbs and the following towns. Andover, Anoka, Bethel, Cedar, Saint Francis, Foley, Oak Park, Saint Cloud, Sauk Rapids, Monticello, Champlin, Dayton, Hamel, Long Lake, Loretto, Maple Plain, Osseo, Rockford, Rogers, Wayzata, Cambridge, Dalbo, Isanti, Foreston, Milaca, Pease, Princeton, Becker, Big Lake, Clear Lake, Elk River, Santiago, Zimmerman, Collegeville, Rockville, Roscoe, Saint Joseph, Saint Martin, Sartell, Waite Park, Albertville, Annandale, Buffalo, Clearwater, Cokato, Delano, Hanover, Howard Lake, Maple Lake, Maple Plain, Montrose, Rockford, Saint Michael, Silver Creek, South Haven, Waverly. Beast Wildlife Company operates 24/7, so don't hesitate to call at any time to discuss your wildlife problem, and schedule an appointment for same-day or next-day service. David, I enjoyed your article and poem. I am trying to entice a squirrel to leave my attic. I have used bugle noise when I hear the squirrel enter, a CFL light on for 24 hours/day and an old ultrasonic transducer to try to frighten it away. I closed the gap in the fascia board 20 feet off the ground that I assumed was the initial access point. Then the next day I discovered a newly gnawed 2� hole in the underside of the soffit board near where the fascia board was closed. And the squirrel was back! So now I am considering installing a one-way access door over the hole to entice the squirrel to leave before any babies are born in February. Do you have a one-way door or other solution to recommend? ance. We do not think there are any in the house at this time, but need to make sure and make sure no more get in. We need better help. Are you the right person? If you have a squirrel problem in Ramsey County Minnesota, or any other conflict with a wild animal, I am confident that we can solve it. We use humane methods when dealing with St. Paul wildlife removal situations. Squirrel Control St. Paul. Our company is fully licensed and insured in Minnesota. Call us any time at 651-691-4136 for a price quote and to schedule a same-day or next-day appointment to solve your squirrel problem in St. Paul.